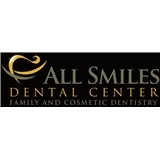 All Smiles Dental Center (San Antonio) - Book Appointment Online! Welcome to All Smiles Dental Center, a leading dental care practice in San Antonio, Texas. We understand the importance of good dental hygiene and oral care and are committed to providing you the best care in a fun, pleasant environment. We are a family owned practice and believe in treating our patients and team members as we would our own family. Serapio De La Rosa Jr., DDS and David Vela, DDS provide a full range of services, all tailored to meet the individual needs of each patient. Our goal is to provide comprehensive dentistry for entire families in a comfortable environment.